Our family is an essential foundation of our lives. Each member has contributed to our development as a person. Siblings and cousins are our best friends since birth, aunts and uncles our second parents, and grandparents our constant protectors from our parents disciplining. We shared precious moments with them from when we were little until we’re all grown up, which is why the passing of a family member is one of the most heartbreaking things we will ever experience. But losing them doesn’t mean we forget them. All the good memories and happy moments we had with them stay with us. They are forever in our hearts. 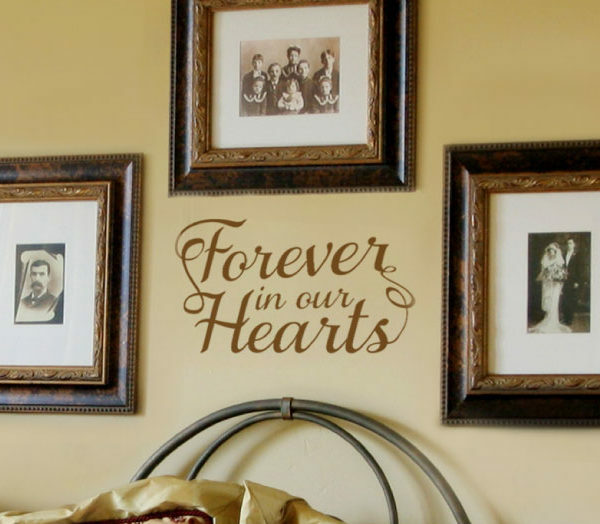 If you wish to make a photo wall for your departed family members who had a big impact on your life, Wise Decor’s unique wall decals can help you achieve a heartwarming layout that will honor your memories with them. 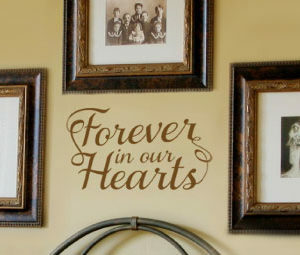 You can pick your own quote and choose from various lettering styles and colors on our website. 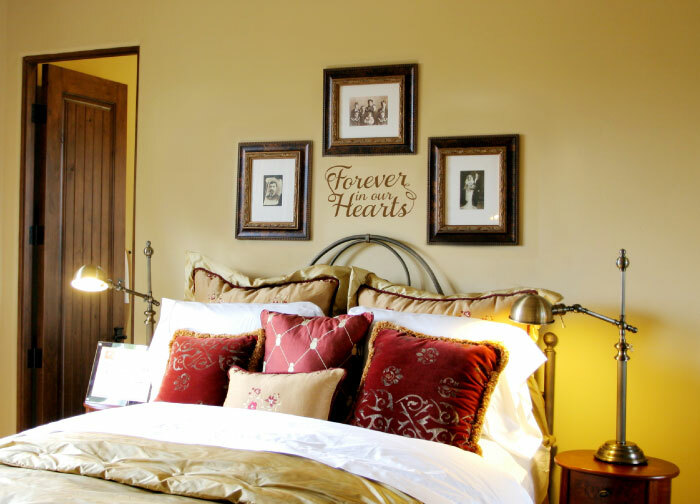 Our online previewer will let you see how the lettering will look on your wall so you can make adjustments based on your preference, while our team of experienced designers will make sure that your order meets your expectations. Just like your memories with your loved ones, our decals are sure to last as they are made of durable resins that are highly resistant to extreme temperatures as the seasons change. 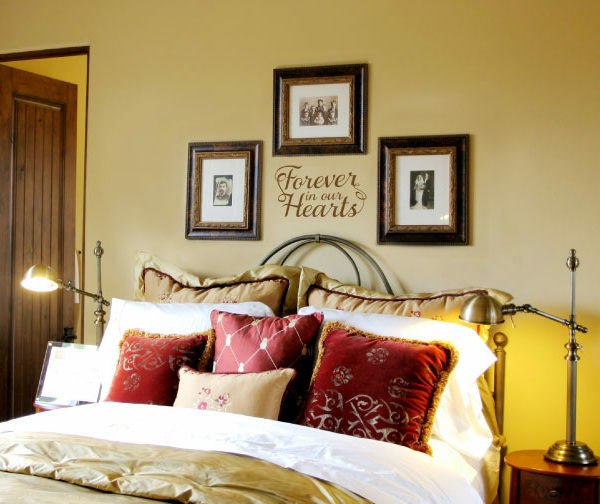 They are also very easy to install and to remove without leaving any marks or damage on your wall. 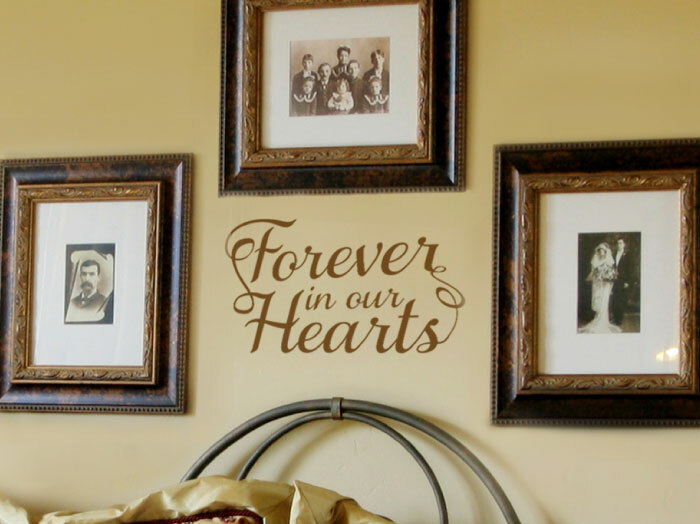 Make a photo wall with our decals to reminisce and tell the next generation about your departed loved ones.